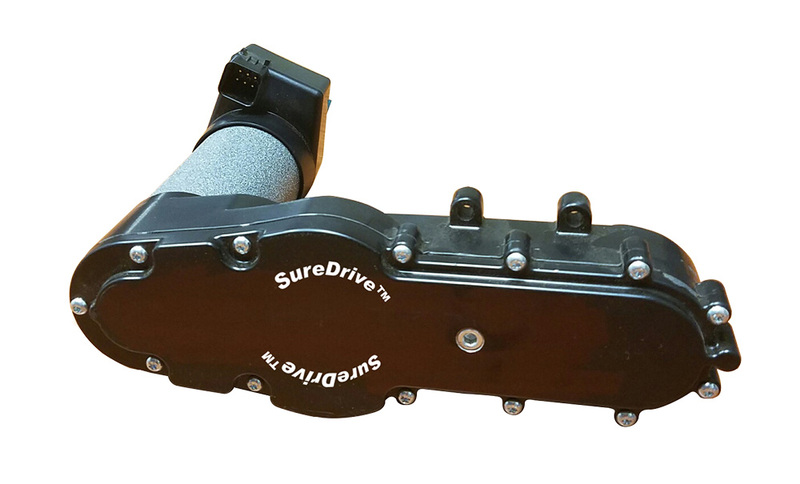 Ag Leader's electric drive solution - SureDrive. Of the many features of electric drives, growers gain precise control of planter meter performance to incorporate variable rate planting, turn compensation and row-by-row shut-off. True to Ag Leader's traditional "color-blind" approach, SureDrive is built to install on most major planter brands on the market. Uniquely, the efficient, yet high torque electric drive motor isn�t tied to a specific brand or type of seed meter, including hard pulling finger meters, making it able to optimize the meter and planter you already have. Maintenance Free - SureDrives' robust, sealed construction is maintenance free for season after season durability and reliability. 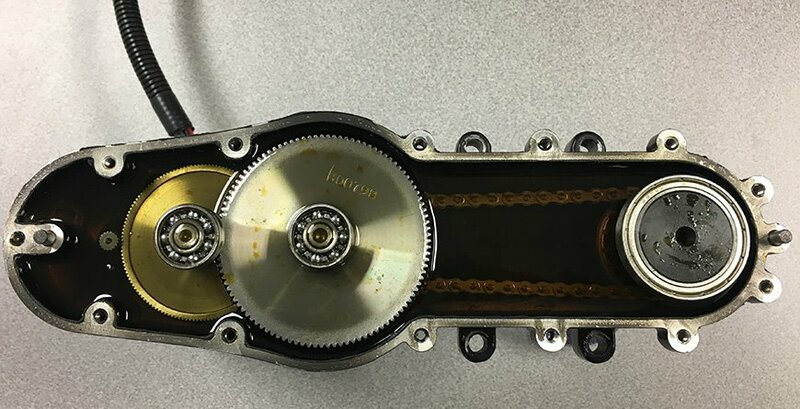 Install SureDrives on your planter and eliminate rusty chains, time intensive air clutches, old harnesses and bearings which constantly cause upkeep and headaches. Strongest Planter Drive on the Market - Four cold forged, high-grade steel gears, precision bearings and a drive chain, all submersed in a full synthetic fluid bath. All this makes for a high-quality, maintenance-free electric planter drive that can confidently control hard pulling meters - including finger meters. Turn Compensation - Avoid having too many plants on inside rows and too few on outside rows with turn compensation. SureDrives automatically adjust meter speed on each row to keep a consistent population around turns, contours and terraces. Powerful Meter Control - Section Control; Each SureDrive row also acts as an individual section shut-off, reducing overlap, wasted seed and lodged plants. Variable Rate; Easy and effectively vary the population across the whole planter with the hyper-responsive electric SureDrive unit.